Window Washing Service – Why Hire Window Cleaners Now | Courtesy Building Services Inc. Window Washing Service – Why Hire Window Cleaners Now? When somebody tells you that they wash windows once in a month, you might be surprised that it isn’t always the case for many people. Cleaning windows can be considered as a DIY task, yet not for all. Most people do not bother washing their windows on regular basis. If you cannot clean your windows because you do not have time or you are not interested with it, you might be losing more money since some customers always stick with their first impressions. Luckily, you can hire professional window washing service. If you have stained or tinted windows, it is good if you let professionals do the job for you. The reason behind it is that you will need to employ various methods for cleaning, particularly treated windows. These are the methods that only professional window cleaners can do. Although you may give it a try, yet you might end up doubling your expense. You will need help to clean the windows located on high floors. In addition to that, you have to remember that calling professional window washing service may come in handy for this job. It’s would be best to hire professionals instead of risking yourself just to clean high windows. Without good experience, cleaning windows installed at considerable height could result in experiencing serious injuries. If you think you have the necessary tools and equipment needed to clean windows, better think twice. There are some tools and equipment that only professionals have and you do not need to buy these if you will hire them to do the job for you. Professional window washing service includes cleaning your window shutters and blinds. You might be courageous to clean your windows, yet you’d think twice before touching those dirty and dusty shutters and blinds. It provides you another reason to call for window cleaning services. In case you have not bothered cleaning the windows of your property for a long time, odds are they could have become the permanent residence for bees or birds. These can be tricky circumstances you do not like to deal with by yourself once you decide cleaning the windows. You cannot clean all kinds of windows in the same manner. If you have windows with metal or copper frames, you will require a special solution to clean all of them so that their leaded frames do not get damaged. Same is actually the case if you have a double hung window. Cleaning these windows also need special skills. So, consider saving yourself from the troubles and let window cleaners do the work for you. 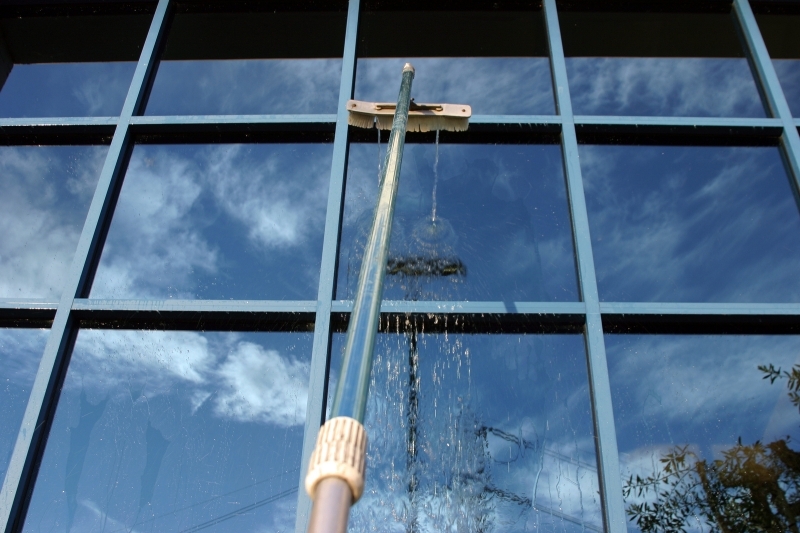 With professional window washing service, you can guarantee that your windows are cleaned properly. 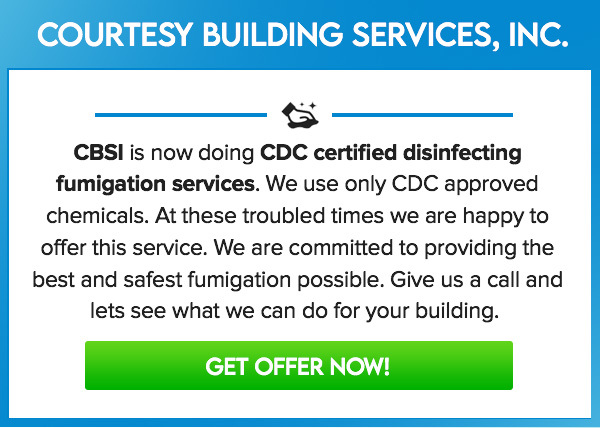 To top it all, if you like your commercial building to look brighter, newer, and cleaner in no time, you should contact Courtesy Building Services, Inc.